British musician (1940-1980), and Yoko Ono (b. 1933). 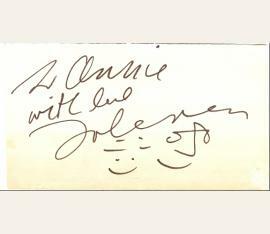 Joint autograph inscription signed in: Yoko Ono. Grapefruit. Works and drawings by Yoko Ono. Introduction by John Lennon. New York. (280) pp. With illustrations and facsimiles. Original publisher's cloth with illustrated wrappers as issued. Inscribed to the Swiss actor and theatre critic Pierre Biner (b. 1939), then a member of the "Living Theatre" company. 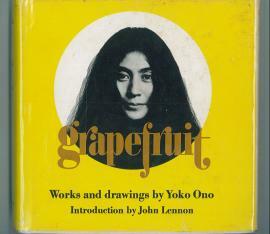 Second edition, the first to contain the two-line introduction by John Lennon (the first edition had appeared in Toyko in 1964, several years before the celebrated couple met). The inscription in black felt-tip pen, in Yoko's hand: "To Pierre, with love, Yoko Ono". Appended below this by John: "and her famous husband John Lennon". This is followed by John and Yoko caricatures and the date "71!". 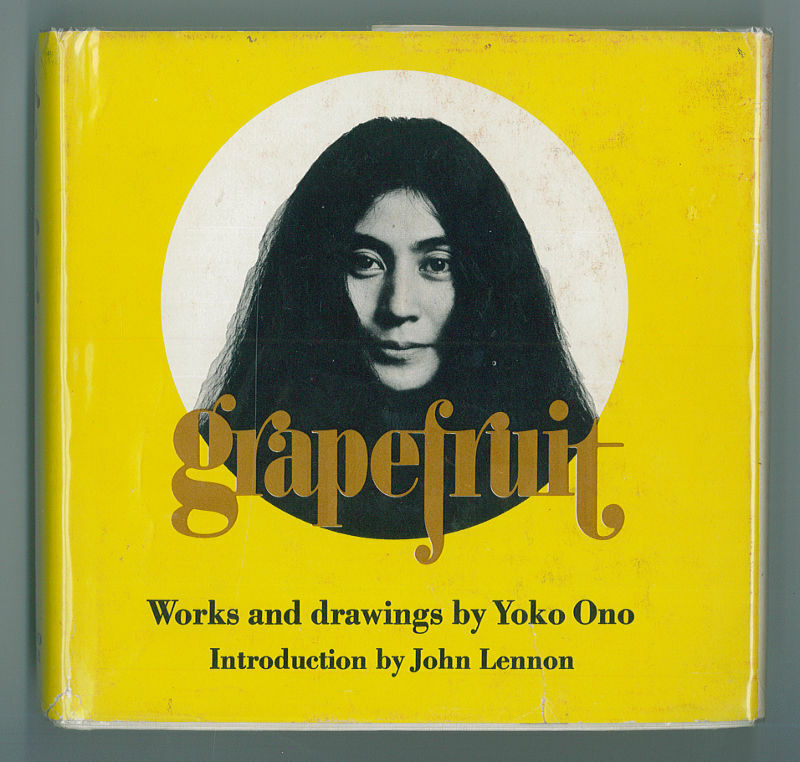 Includes two original and three photocopied 1971 British and U.S. magazine publications (showing occasional paper defects) about John, Yoko and her "Grapefruit" volume. E. Albumblatt m. kleiner Handskizze u. U.
John Lennon (1940–1980), Komponist, Autor und Mitgründer der Beatles. E. Albumblatt mit kleiner Handskizze und U. („JoLennon“). O. O. u. D. 1 S.79:141 mm. – „To Annie with love“; die Skizze mit zwei, ihn und Yoko Ono darstellenden Strichgesichtern. – Alt auf Trägerpapier montiert.